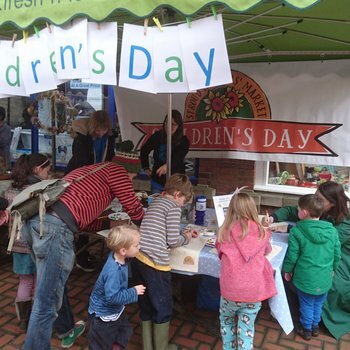 Stroud Farmers Market Children’s Day was started in 2015 to engage the huge number of children who visit the market every week. We hold the special days about 3 times per year and usually run 3 or 4 activities – taster’s passport, seed sowing, decorating a shopping bag to use around the market, recipe sheets and anything seasonal we can come up with. The taster passport will see stallholders providing samples of their products for the children to try. Participating stalls will have a sign saying taster’s welcome and a stamp on a string at their stall. Once the children have tried a sample, they stamp their passport then move on to the next stall. 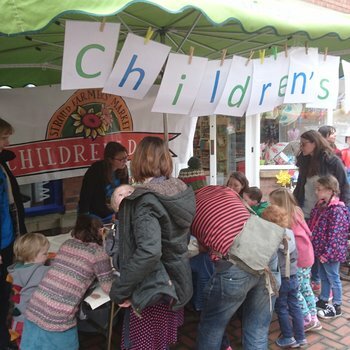 We hope that by engaging the children in this way we can encourage them to take an interest in the food used to create their meals and increase their confidence with shopping and cooking and introduce them to the wonderful flavours provided by our stallholders at the market.